I have mentioned several times in my previous posts the important role that fairies play in the work of the salonnières. Although we now almost always use the term “fairytale” when talking about folklore, fairies were a rare presence in storytelling until the conteuses began telling and recording folktales. 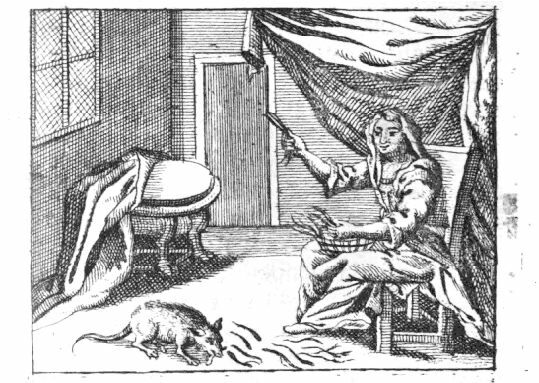 Introducing the term “conte de fées” to 17th century French salon life, many salonnières wrote about magic-wielding fairies who guide and counsel the protagonist throughout the story. Fairies in French contes de fées were often maternal figures, providing the loving protection and care that one tends to associate with motherhood. Despite taking on a motherly disposition, these fairies resist the identity of the “wife.” In 17th century Europe, the roles of “mother” and “wife” were very much intertwined and virtually inseparable. Yet the fairies in the salonnières’ tales seem to exist in a realm separate from the conventions of French court life and have no attachment to a male power figure as women were expected to. They are at once both free from society and actively involved it, representing the nurturing, protective elements of motherhood without representing domesticity. 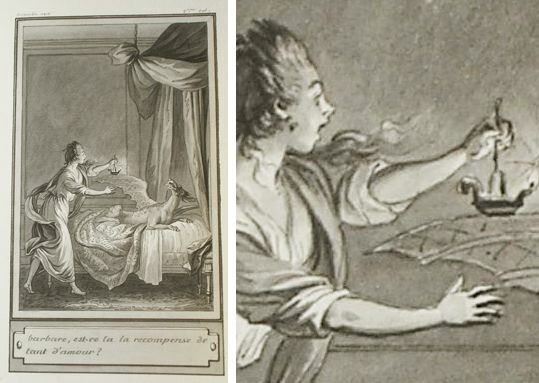 Fairies in Madame D’Aulnoy’s stories took on a variety of duties: upholding morality and disguising themselves to test a character’s virtue, acting as midwives and blessing (or cursing) newborn babies, granting wishes, bestowing powers, and simply offering advice. The stories feature both good and evil fairies, but the one thing the good fairies almost all have in common is that they help other women. The Prince Charming/Damsel in Distress theme is rarely present in the works of the conteuses. Rather, these stories frequently feature women helping women. This week, I thought I would present a few of my favorite fairies that I have encountered so far. Here they are! In \ “Le Serpent Vert”(The Green Serpent), which is loosely modeled after the Greek myth “Eros and Psyche,” the Fairy Protectress comes to the aid of a princess who has found herself enslaved by the evil fairy Magotine. Magotine has cursed Princess Laideronette (Laide means “ugly” in French) at birth, condemning her to be ugly. She has also cursed a handsome prince, turning him into a hideous serpent. One day the serpent rescues the princess from drowning during a hurricane and takes her to his castle to make her his wife. He gives her everything she could ask for under the one condition that she may never lay eyes on him. When she grows curious and breaks her promise, the serpent is sent down to Hades while Laideronnette must work for Magotine. The invisible Fairy Protectress has been watching over the princess and helps her to complete Magotines impossible spinning tasks and to find and retrieve the “water of discretion” which she uses to restore her beauty and to revive the serpent from Hades and restore him to his human form. In “La Bonne Petite Souris” (The Good Little Mouse), A pregnant queen finds herself imprisoned when a rival king kills her husband and locks her in a dungeon with her unborn daughter. A fairy notices the queen’s plight and takes the form of a mouse to test her goodness. Although she receives only three peas to eat a day, the queen always gives one to the little mouse who resides in her cell. One day, the fairy takes the form of an old woman and asks the queen to give her the mouse to eat, but the queen refuses. Impressed by the queen’s virtue, the fairy reveals her true form when the child is born, and offers to take care of the baby. As the fairy lowers the child out of the cell in a basket, the child is kidnapped. Meanwhile the evil king sends for the queen to hand over her baby. When the queen tells him that a fairy has taken it, he arranges to have her hanged, but the fairy makes her invisible and helps her escape. Fifteen years later, the fairy encounters a beautiful young turkeyherd named Joliette who must marry an ugly prince. The fairy speaks with her and recognizes her as the queen’s long-lost daughter. She dresses the girl in fine clothing and takes her back to the king’s castle. When the princess refuses to marry the king’s son, he locks her in a tower. The fairy becomes a mouse once again and sneaks into the king’s bedroom. She bites the king and his soldiers, throwing them into a fit of rage in which they all kill one another. She proceeds to rescue princess Joliette and make her the new queen. La Fée Dormante (The Sleeping Fairy)–In the story “Fortunée” (The Fortunate One), the fairy both helps and receives help from a prince and an princess and arranges for them toA king forces his ugly son to find an ugly princess to marry, and when he refuses, the king locks him in a tower. He discovers a sleeping woman in one of the rooms of the tower, and an eagle brings him a golden branch and tells him to tap the woman with it. He does so and she awakes and tells him that she is a fairya and the eagle is her cursed lover, but her magic cannot change him back to his human form. She too had been cursed to remain in a deeps sleep, and she makes the prince handsome helps free him from the tower to thank him for waking her. Meanwhile the evil king has found an ugly princess for his son to marry, but the tower guards tell him that his son has died in an effort to conceal his escape. Upon hearing this, the king locks the princess in the tower. There she meets the fairy, who is disguised as an old woman and who asks her to choose between beauty and goodness. The princess chooses goodness, and the woman leads her to a box, inside of which she is horrified to find a man’s hand. The woman tells her to give it to the eagle as soon as she sees him. She does so, and the eagle transforms into a man. The old woman transforms herself back into a fairy and is reunited with her lover. She makes the princess beautiful and frees her from the tower as well. The princess and the Prince meet and fall in love, but they are transformed into a cricket and a grasshopper by an evil fairy. Neither of them is aware of the fate of the other, and for a long time they wander the earth until they meet each other one day and discover they both can speak. Two princesses visit them in the form of mice and show them the way to the Golden Branch. They go and are restored. The fairy arranges for them to be married and changes the two mice back into princesses. She gives the prince and princess the Castle of the Golden Branch to live in for the rest of their days. This entry was posted in World Languages and Cultures and tagged Faries, French, independent study, literature, westtown school, writers on October 5, 2013 by lyrapiscitelli. These are very elaborate stories. There is a story called East of the Sun, West of Moon. Its a Norse tale retold and illustrated by many, but it picks up on this story of having to wait a year before seeing the bewitched prince. In the story the female character is very active and rescues the prince even though she almost blows it by not waiting. Jane Yolen has a story called Dove Isabeau who is bewitched by an evil step mother but helped by a cat. She too is fairly active. I love Yolen as a reteller as her protagonists are always active in their own rescue .